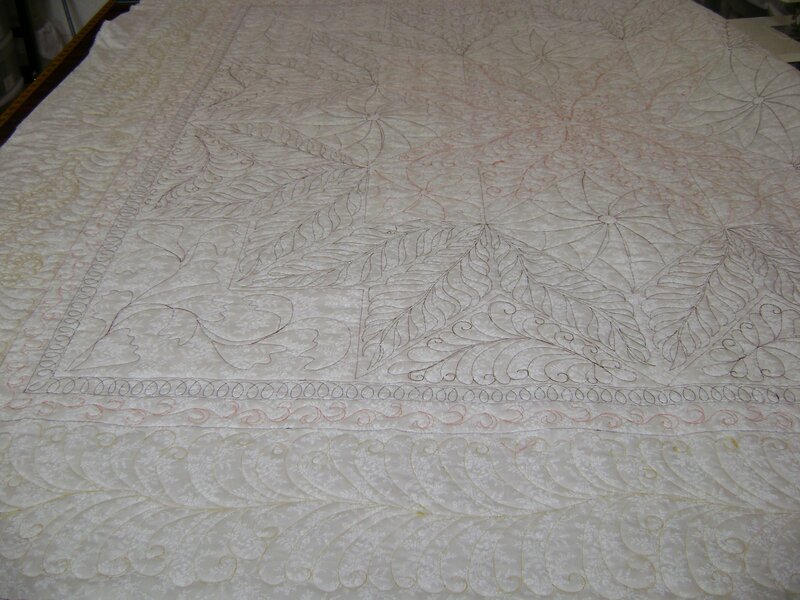 I have a couple of finished quilts today. This one first. 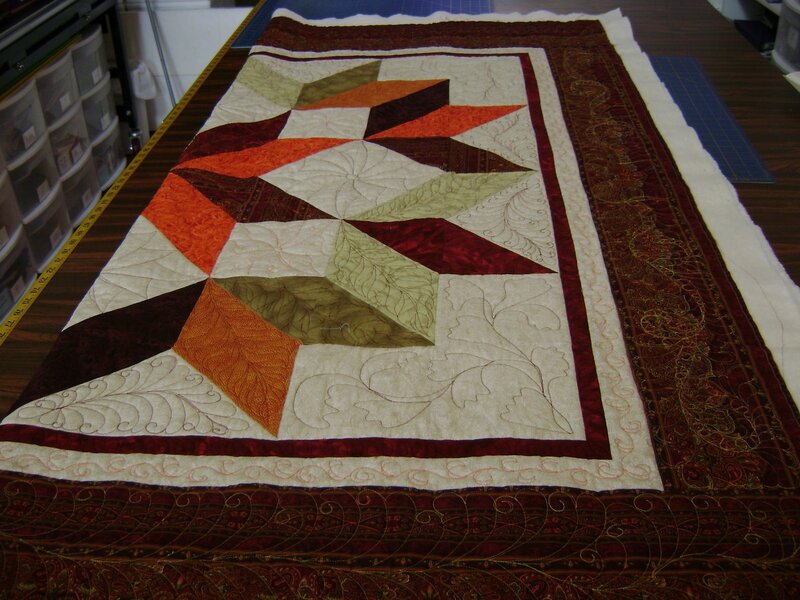 It’s not really a Christmas rush quilt but I finished it anyway. This is the left side. This is the right side. 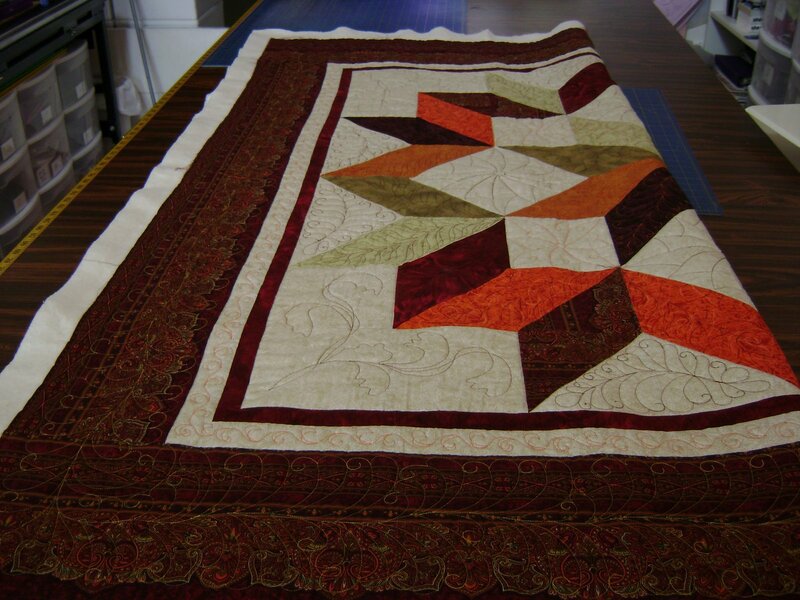 This is the first customer quilt that actually left off the embellishments until after its quilted. 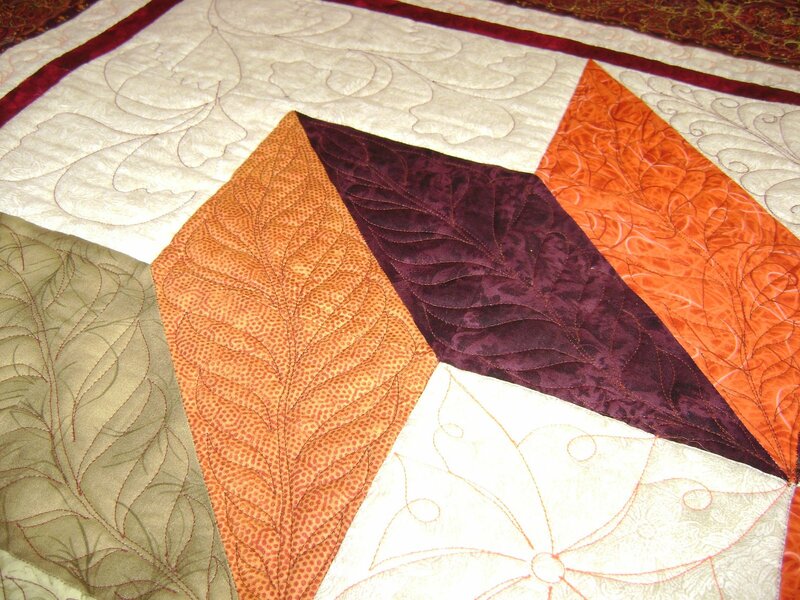 I try to get people to understand the doodads cause quilting problems when rolling the quilt up or when trying to quilt around them. I know you probably can’t see it but I did mittens in the border. 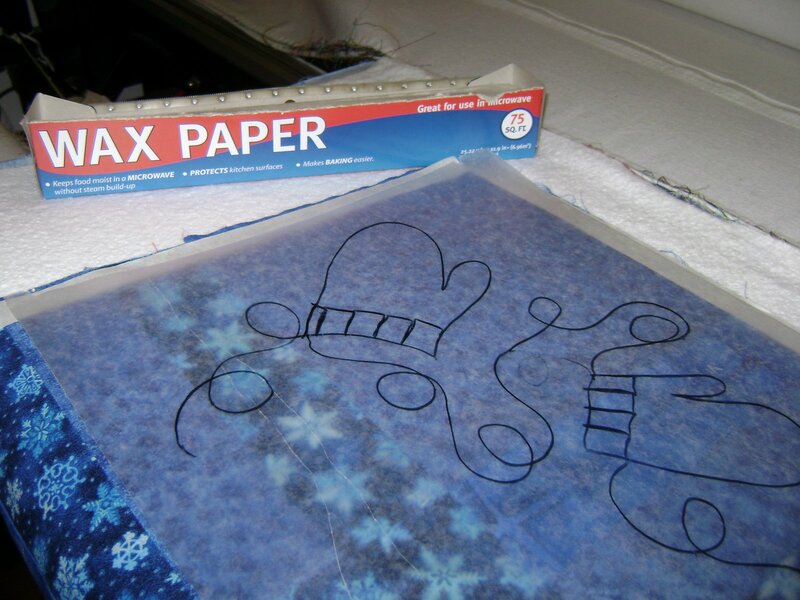 So here is what they looked like when auditioning the design. 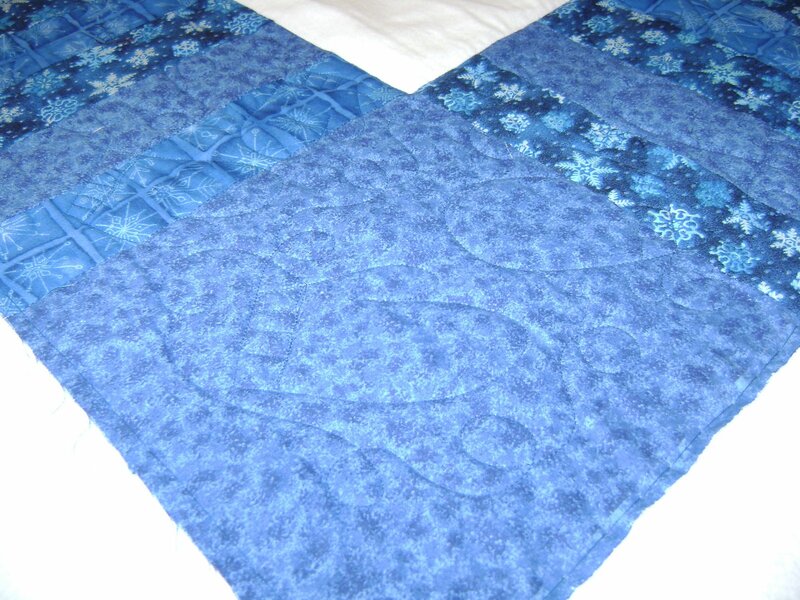 I also finished this me quilt. Left side. I was just playing around with color threads and different designs. This is the back so you can get a better look at the thread color changes. And another view of the back. Gee, look at all the tension issues in there. Tension is not an issue to be picked out on this one. 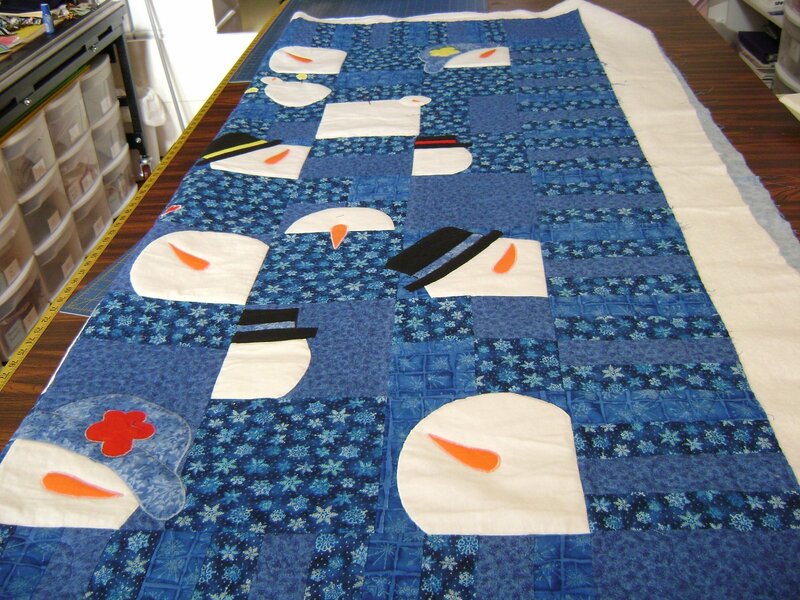 This quilt is to be a charity quilt this year. 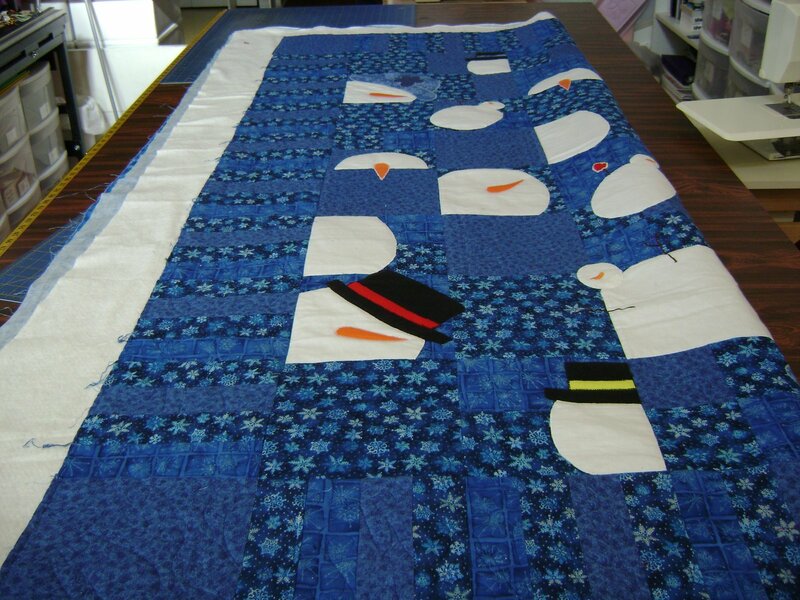 This entry was posted on December 18, 2007 by Anita in Charity quilts 2007, Customer quilts 2007.